The Acropolis of Athens (Ancient Greek: Ἀκρόπολις; Modern Greek: Ακρόπολη Αθηνών) is an ancient citadel located on a high rocky outcrop above the city of Athens and contains the remains of several ancient buildings of great architectural and historic significance, the most famous being the Parthenon. 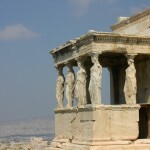 The word acropolis comes from the Greek words ἄκρον (akron, “edge, extremity”) and πόλις (polis, “city”). Although there are many other acropoleis in Greece, the significance of the Acropolis of Athens is such that it is commonly known as “The Acropolis” without qualification. 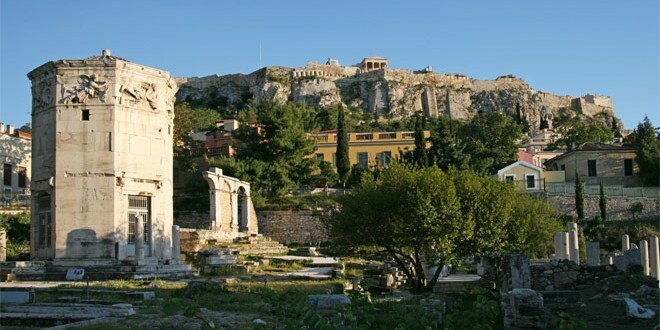 While there is evidence that the hill was inhabited as far back as the fourth millennium BC, it was Pericles (c. 495 – 429 BC) in the fifth century BC who coordinated the construction of the site’s most important buildings including the Parthenon, the Propylaia, the Erechtheion and the temple of Athena Nike. The Parthenon and the other buildings were seriously damaged during the 1687 siege by the Venetians in the Morean War when the Parthenon was being used for gunpowder storage and was hit by a cannonball. The Acropolis was formally proclaimed as the preeminent monument on the European Cultural Heritage list of monuments on 26 March 2007. There is no conclusive evidence for the existence of a Mycenean palace on top of the Athenian Acropolis. However, if there was such a palace, it seems to have been supplanted by later building activity. 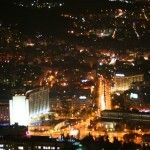 Not much is known as to the architectural appearance of the Acropolis until the Archaic era. In the 7th and the 6th centuries BC, the site was taken over by Kylon during the failed Kylonian revolt, and twice by Peisistratos: all attempts directed at seizing political power by coups d’état. Peisistratos built an entry gate or Propylaea and perhaps embarked on the construction of an earlier temple on the site of the Parthenon where fragments of sculptured limestone have been found as well as the foundations of a large unfinished temple. Nevertheless, it seems that a nine-gate wall, the Enneapylon, had been built around the biggest water spring, the “Clepsydra”, at the northwestern foot. 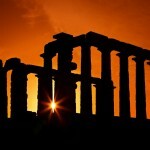 A temple to Athena Polias (protectress of the city) was erected around 570–550 BC. This Doric limestone building, from which many relics survive, is referred to as the Hekatompedon (Greek for “hundred–footed”), Ur-Parthenon (German for “original Parthenon” or “primitive Parthenon”), H–Architecture or Bluebeard temple, after the pedimental three-bodied man-serpent sculpture, whose beards were painted dark blue. Whether this temple replaced an older one, or just a sacred precinct or altar, is not known. Probably, the Hekatompedon was built where the Parthenon now stands. Between 529–520 BC yet another temple was built by the Peisistratids, the Old Temple of Athena, usually referred to as the Arkhaios Neōs (ἀρχαῖος νεώς, “ancient temple”). This temple of Athena Polias was built upon the Doerpfeld foundations, between the Erechtheion and the still-standing Parthenon. Arkhaios Neōs was destroyed by the Persian invasion in 480 BC. However, the temple was probably reconstructed since in 454 BC the treasury of the Delian League was transferred in its opisthodomos. 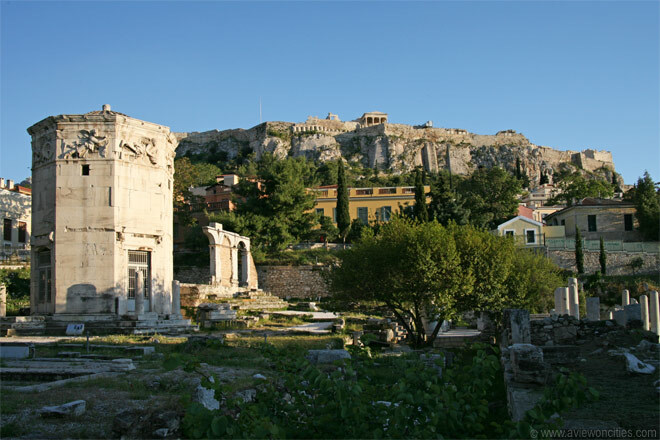 The temple may have been burnt down in 406/405 BC as Xenophon mentions that the old temple of Athena was set on fire. Pausanias does not mention it in his 2nd century AD Description of Greece. 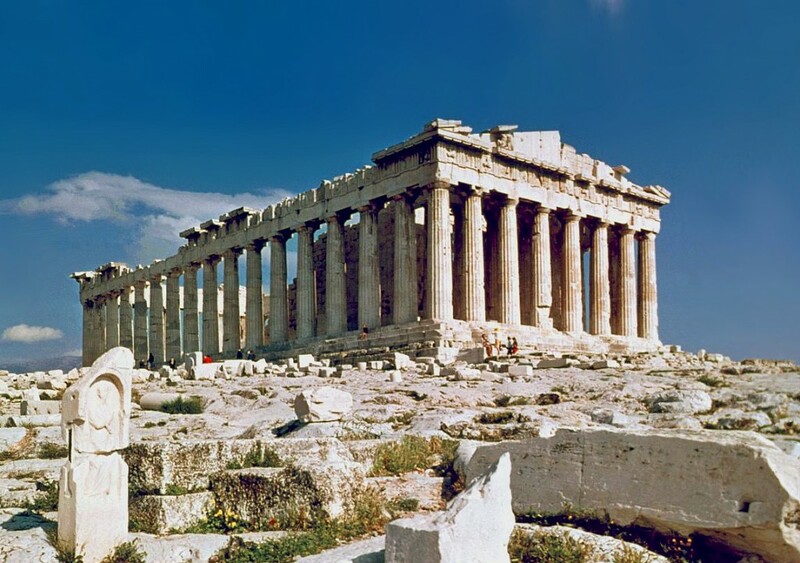 Around 500 BC the Ur-Parthenon was dismantled to make place for a newer and grander building, the “Older Parthenon” (often called Pre-Parthenon, “early Parthenon”). Athenians decided to stop the construction of the Olympieion which was related with the tyrant Peisistratos and his sons and instead used the Piraeus limestone destined for the Olympieion to build the Older Parthenon. To accommodate it, the south part of the summit was cleared, made level by adding some 8,000 two-ton blocks of limestone, a foundation 11 m (36 ft) deep at some points, and the rest filled with earth kept in place by the retaining wall. However, after the victorious Battle of Marathon in 490 BC, the plan was revised and marble was used instead. The limestone phase of the building is referred to as Pre-Parthenon I, the marble phase as Pre-Parthenon II. In 485 BC, construction stalled to save resources as Xerxes took the throne. The Older Parthenon was still under construction when the Persians sacked the city in 480 BC. The building was burned and looted, along with the Ancient Temple and practically everything else on the rock. After the Persian crisis had subsided, the Athenians incorporated many of the unfinished temple’s architectural members (unfluted column drums, triglyphs, metopes, etc.) into the newly built northern curtain wall of the Acropolis, where they serve as a prominent “war memorial” and can still be seen today. The devastated site was cleared of debris. Statuary, cult objects, religious offerings and unsalvageable architectural members were buried ceremoniously in several deeply dug pits on the hill, serving conveniently as a fill for the artificial plateau created around the classic Parthenon. This “Persian debris” is the richest archaeological deposit excavated on the Acropolis and is well known throughout Greece. After winning at Eurymedon in 468 BC, Cimon and Themistocles ordered the reconstruction of the southern and northern walls of the Acropolis. 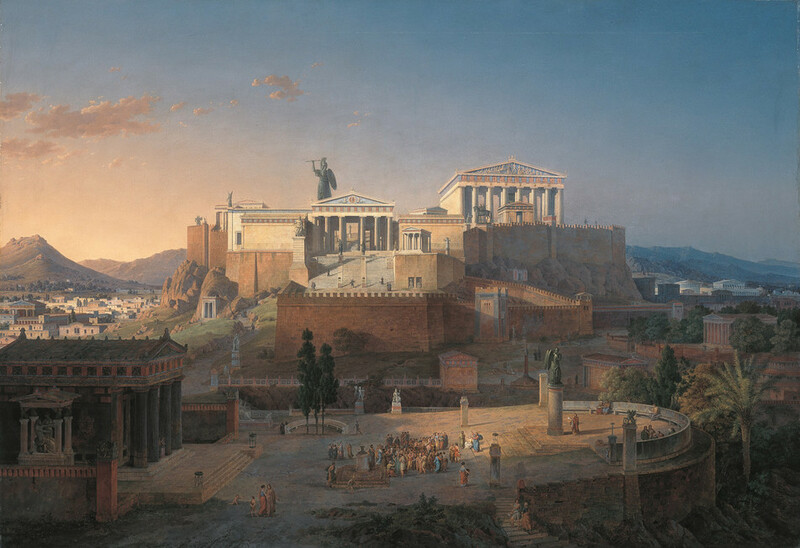 Most of the major temples, including the Parthenon, were rebuilt under the leadership of Pericles during the Golden Age of Athens (460–430 BC). Phidias, a great Athenian sculptor, and Ictinus and Callicrates, two famous architects, were responsible for the reconstruction. 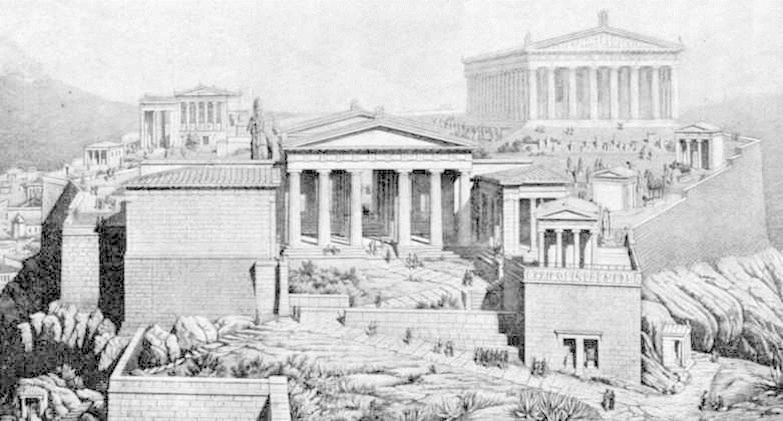 In 437 BC, Mnesicles started building the Propylaea, a monumental gate at the western end of the Acropolis with Doric columns of Pentelic marble, partly built upon the old propylaea of Peristratus. These colonnades were almost finished in 432 BC and had two wings, the northern one decorated with paintings by Polygnotus. Around the same time, south of the Propylaea, building started on the small Ionic Temple of Athena Nike in Pentelic marble with tetrastyle porches, preserving the essentials of Greek temple design. After an interruption caused by the Peloponnesian War, the temple was finished in the time of Nicias’ peace, between 421 BC and 409 BC. 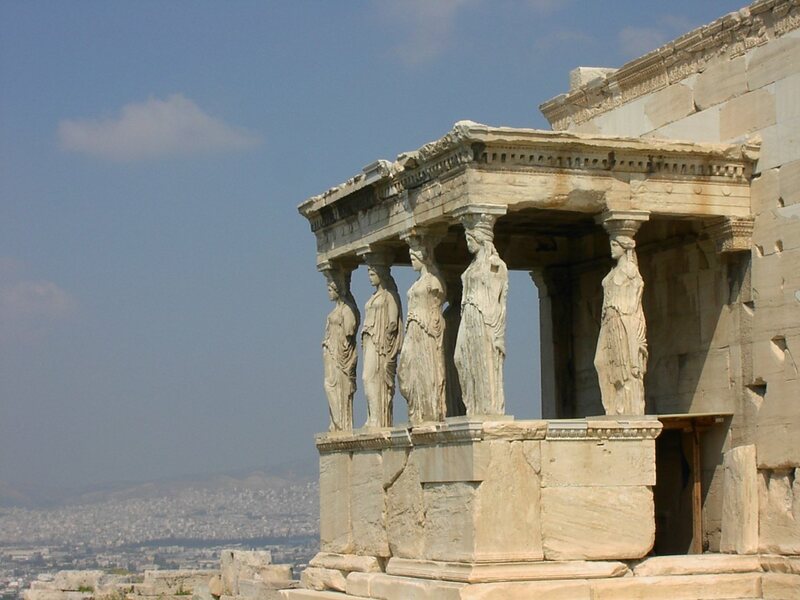 During the same period, a combination of sacred precincts including the temples of Athena Polias, Poseidon, Erechtheus,Cecrops, Herse, Pandrosos and Aglauros, with its Kore Porch (Porch of the Maidens) or Caryatids‘ balcony was begun. Between the temple of Athena Nike and the Parthenon, there was the Sanctuary of Artemis Brauronia (or the Brauroneion), the goddess represented as a bear and worshipped in the deme of Brauron. According to Pausanias, a wooden statue or xoanon of the goddess and a statue of Artemis made by Praxiteles in the 4th century BC were both in the sanctuary. Behind the Propylaea, Phidias’ gigantic bronze statue of Athena Promachos (“Athena who fights in the front line”), built between 450 BC and 448 BC, dominated. The base was 1.50 m (4 ft 11 in) high, while the total height of the statue was 9 m (30 ft). The goddess held a lance whose gilt tip could be seen as a reflection by crews on ships rounding Cape Sounion, and a giant shield on the left side, decorated by Mys with images of the fight between the Centaurs and the Lapiths. Other monuments that have left almost nothing visible to the present day are the Chalkotheke, the Pandroseion, Pandion’s sanctuary, Athena’s altar, Zeus Polieus’s sanctuary and, from Roman times, the circular temple of Augustus and Rome. During the Hellenistic and Roman periods, many of the existing buildings in the area of the Acropolis were repaired., due to damage from age, and occasionally, war. Monuments to foreign kings were erected, notably those of the Attalid kings of Pergamon Attalos II (in front of the NW corner of the Parthenon), and Eumenes II, in front of the Propylaia. These were rededicated during the early Roman Empire to Augustus or Claudius (uncertain), and Agrippa, respectively. Eumenes was also responsible for constructing a stoa on the South slope, not unlike that of Attalos in the Agora below. During the 3rd century, under threat from a Herulian invasion, repairs were made to the Acropolis walls, and the “Beulé Gate” was constructed to restrict entrance in front of the Propylaia, thus returning the Acropolis to use as a fortress.